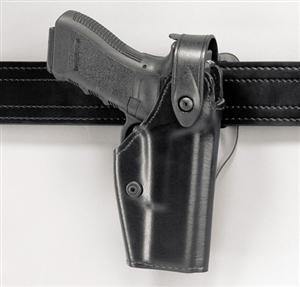 Safariland Level 2 Duty Holster, Clarino Leather | 700372, SAFARILAND, Safariland Level 2 Duty Holster, Clarino Leather | McDonald Uniforms, Inc. 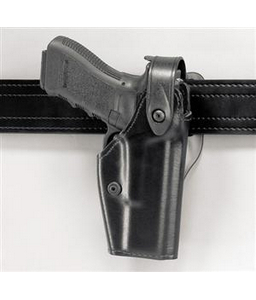 The Safariland Level II Retention Duty Holster for use with weapons without mounted Tactical lights. Holsters for weapons with mounted Tactical lights are available. The holster is available in several finishes - Plain, Basketweave and Hi-Gloss. It is also available in a lesser-expensive STX finish.